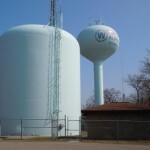 The City of Waupaca Water Department provides water service to all of Waupaca’s residents. The Water Department employees three people with over a half-century of combined experience. They are responsible for over 55 miles of water mains, nearly 500 fire hydrants, close to 800 valves and over 2,700 water meters. 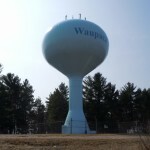 The City of Waupaca has seven shallow groundwater wells in the area and three water towers consisting of 1.8 million gallons of capacity brining water to all of Waupaca’s residents. The city has a private well ordinance in place which requires owners to sample the well, have it inspected (by city personnel) and pay a fee of $40.00 every (5) years. The property owner is responsible for the water service from the shut off at the property line to the building. The property owner is also responsible for the main shut off valve before and after the water meter. Property owners are asked to “Adopt a Fire Hydrant “ during the winter months to assist clearing of snow around hydrants for safety and also because we have limited labor to clear all the hydrants in a quick manner. 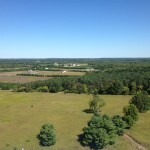 All Wisconsin Public Water Supplies are required to have an active Cross-Connection Control Program. A Cross-Connection is a link through which it is possible for contaminating materials to enter the potable water supply when the pressure of the private water source exceeds the pressure of the public potable source. This action is called back siphonage or backflow. 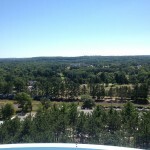 The City of Waupaca has adopted a city ordinance requiring all industrial, commercial and residential customers to have their properties inspected by the city for improper cross plumbing connections and any backflow device tested by others at building owners expense upon installation and periodically thereafter. 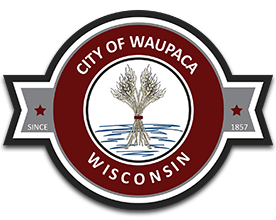 We’re very pleased to provide you with the City of Waupaca Annual Drinking Water Quality Report. This report is designed to inform you about the quality water and services we deliver to you every day. 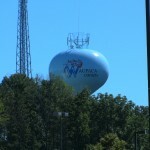 Our goal is and always has been, to provide to you a safe and dependable supply of drinking water. We want you to understand the efforts we make to continually improve the water treatment process and protect our water resources along with our commitment to ensuring the quality of your water. If your property is in the vicinity of a fire hydrant, the Waupaca Water Utility and Waupaca Area Fire District would appreciate it if you would adopt the fire hydrant and shovel the snow away from it. Please shovel a 3 foot area around the hydrant. It is important to keep the snow and ice removed so the Fire Department can locate and access the fire hydrant in case of an emergency. Normally performed annually the #3rd and 4th week of September, city crews open fire hydrants throughout the city to actively flush out the system. If you do see city crews in your area flushing hydrants, the city encourages you to refrain from using water in your home or business for up to 30 minutes to avoid drawing any rusty or sediment into your private water lateral.